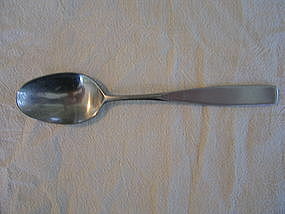 Manufactured in Japan spoon measuring 6 1/4 inches. Usage and cleaning marks. I need your zip code to calculate the postage.